Highland Studio Tours: Su Stella, a photo by trudeau on Flickr. Sparkling jewelry is not the sole product of Su Stella's studio in Highland neighborhood, Shreveport. She is also a writer. And she's passionate about the arts in Shreveport-Bossier. 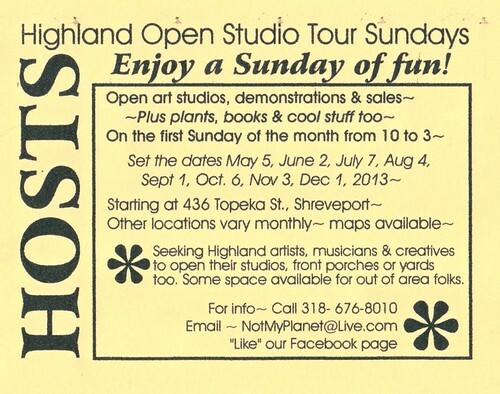 Organizing the Highland Open Studio Tour is a realization of a Stella dream. The series begins the first Sun in May, the 5th, and will take visitors from 10 am to 3 pm. At the 436 Topeka St studio visitors will also see Stella's partner, Curt Harville, who has a blacksmith studio. At the recent Maker's Fair he was joined by Noah Wakefield, a metal sculptor who has moved to Shreveport from Austin, Tx. More studios - in the broadest sense of the word - are needed: 318 676 8010. 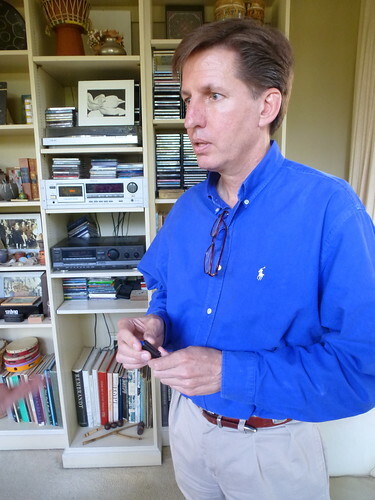 Chris Parks, author, Poco Bueno, a photo by trudeau on Flickr. Men Who Read comprise some 20% of the US book market, says Chris Parks, former Shreveporter. He has written a novel for that market - delving into the secrets around serious marlin fishing and Texas oil men - called Poco Bueno. 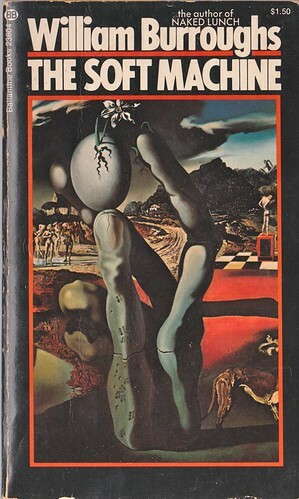 It is a prose holiday for guys, he says. And embedded in it are, ahem, a few Shreveport stories. The Shreveport release for Poco Bueno is Th, May 2, from 4 p.m to 7 p.m. at John Pickens Custom Clothiers, 6022 Line Avenue. Books will be available at the store for purchase. Beer and wine will be served and Chris will be available for questions and to sign books. 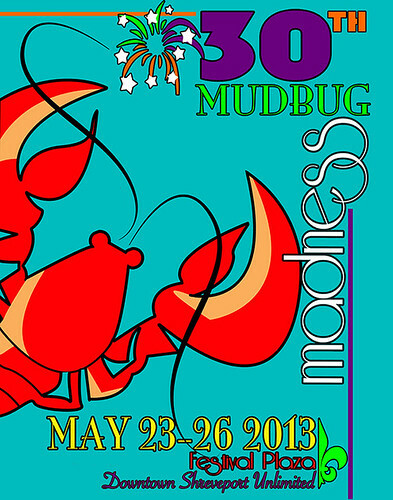 Mudbug Madness, May 23 - 26, Shreveport, a photo by trudeau on Flickr. For salty details, go to http://mudbugmadness.com/. 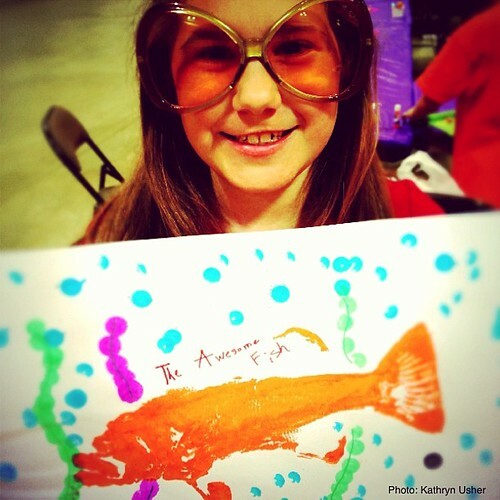 The Awesome Fish...come make one with me today. , a photo by Kathryn Usher on Flickr. People have been raving to me about the high level of competence of student art as seen at Artbreak Festival. 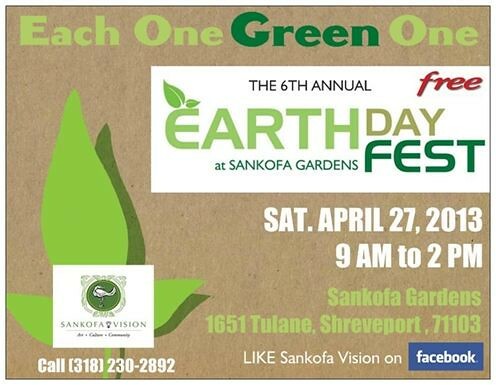 It's easy to try on Sun, 1 - 5 pm; free parking in Shreveport Convention Center parking garage. Photo above is from Kathryn Usher and from her Fishtivity. I know that 2 year-old Nanette Kawanaka enjoyed it. 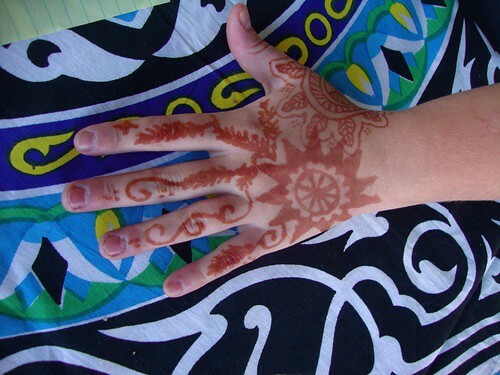 Park once for 3 downtown festivals: ArtBreak, Aseana and Tex Ave Makers Fair, a photo by trudeau on Flickr. Three colorful fests: see Shreveport at its best. 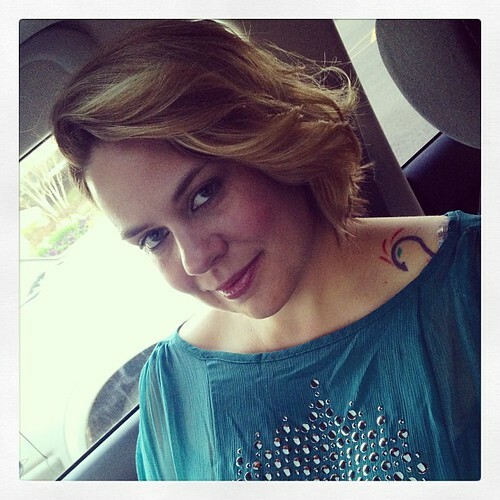 Mindy Bledsoe, Shreveport, a photo by trudeau on Flickr. "Most likely to Kill" is an off-center farce of 14 minutes that brings 3 fluent local actresses to the screen. See the premiere tonight at Stray Cat Lounge patio, 22 Travis St. Beginning at 8 pm, there will be numerous screenings. Mindy Bledsoe, director and writer as well as principal, plays a Couldn't Care Less chick of mysterious orientation. Playing a perfect nerd across from the laconic Bledsoe character is Rachael Lee Magill, an actress who has packed a lot of stage and film experience into the past few years. Dancer-singer-actress Wanetah Walmsley plays their foil with curvaceous efficiency. "Kill" is a successful piece of comedy, though not without a few moments of lassitude. sprng 2, a photo by trudeau on Flickr. "Join the Shreveport Tao Ahn Pai Group from Phoenix Virtue Temple to celebrate the 15th World Tai Chi & Qigong Day," says Sifu Janis Gabriel. - Warm-up and Qigong, 9 a.m.
- Tai Chi at precisely 10 a.m. Joining a wave of energy that begins in New Zealand at 10 am (their time) and unfolds time zone after time zone around the world. Over 700 cities and 70 countries world-wide are part of the celebration. "Come join us! No prior experience is necessary - just a desire to have fun and create greater health! Wear comfortable clothing and bring some water for hydration. Come play," exhorts Gabriel. Betty Virginia Park (Ockley at Line) or rain: Phoenix Virtue Temple. 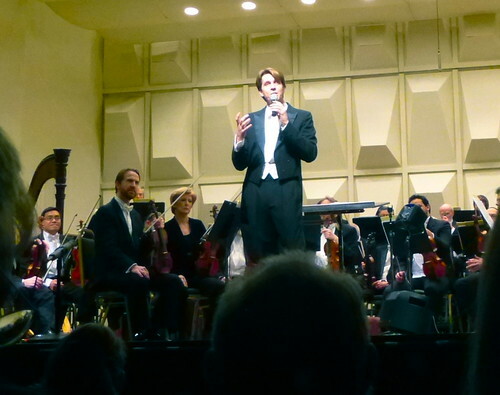 Shreveport Symphony Orchestra: Michael Butterman, a photo by trudeau on Flickr. "We are delighted to announce the return of the Family concert to the SSO lineup," says Michael Butterman. "On May 5th at Riverview theater, the SSO will present a family concert featuring the timeless classic, Peter and the Wolf. Generous additional sponsors have made it possible for this concert to be free and open to all." Pre-concert activities are being planned with Sci-Port, Lousiana's Science Center. There will be a special discount price to the center. Maker's Fair, Shreveport , a photo by trudeau on Flickr. "Just a reminder," says Ivy Johnson, "the Texas Avenue Makers Fair takes place in conjunction with the Aseana Spring Festival!" 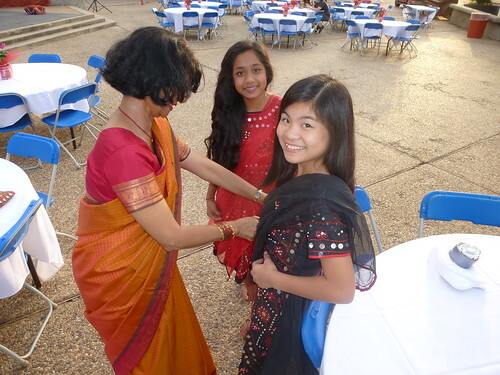 On one side of Texas Ave is a virtual Americana; on the other side a celebration of India. "Shop, visit, and eat at the Makers Fair, then eat some more and watch the festivities in the Aseana Gardens across Texas Avenue," says Johnson. 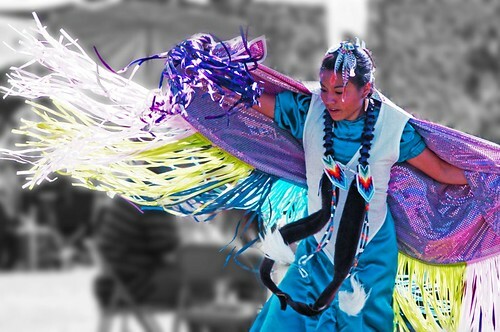 Aseana's dance and food is featured from noon to 3 pm; the Makers Fair extends from 10 am to 4 pm. The Shreveport Symphony’s new chamber music series, sponsored by The Noel Foundation Inc., continues with two free concerts featuring SSO musicians on Sunday, April 28 and Sunday, May 19, says Lois Robinson. 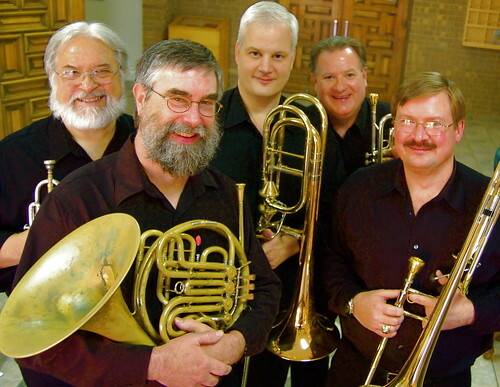 The program features works by Gabrieli, J.S. Bach, Ralph Vaughan-Williams and others. Both programs are expected to run approximately one hour without intermission. The concerts are free and open to the public, with general admission seating. For program details, visit www.shreveportsymphony.com. 2013_Makers_Fair, a photo by trudeau on Flickr. Each year, Outreach has an event for the National Day of Silence on 19 April, which respects those who have been bullied due to gender identity, gender expression, and/or sexual orientation, says the All Souls Unitarian website. 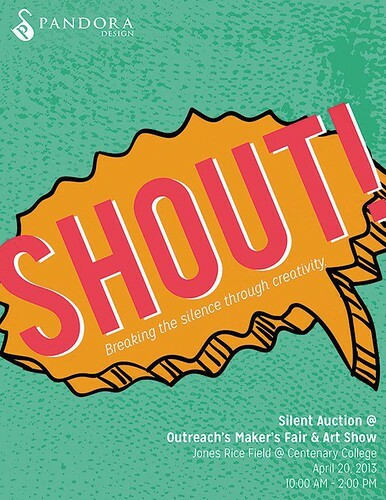 This year, they are holding a Maker’s Fair to Break the Silence on Saturday (20 April 2013) from 10:00 AM to 2:00 PM on Jones Rice Field on the Centenary College campus (the field borders Centenary Blvd. at the back of the campus). Chelsea Beth Hockaday, Shreveport, a photo by trudeau on Flickr. Andrew Wood is the dangerous character Hal. Chelsea Hockaday is the lovely dreamer Madge. They lead the cast in the classic William Inge drama, Picnic. It is mid-century Americana, mid-country, mid-repression at Marjorie Lyons Playhouse. The cast includes Abigail Dillard as Christine, Jordan Fell as Flo, Ashley Frisbee as Millie, Cassandra Hermes as Rosemary, Regina Price as Irma, Josh Rabalais as Howard, Sandy Rather as Helen, Jonathan Slocum as Bomber, and Clint White as Alan. Picnic is directed by C.L. "Kip" Holloway. One weekend only. April 18-20 at 8 p.m. Matinee on Sunday, April 21, at 2 p.m.
$15 for adults, $12 for seniors and military, $10 for children under 12 and non-Centenary College students with a valid ID. Tickets online at www.centenary.edu/playhouse/tickets, or by leaving a message with the box office at 318.869.5242.
burroughs, a photo by trudeau on Flickr. "We have something for every reader in the family, so please come, shop for books and help the Friends of Shreve Memorial Library support public library services in Caddo Parish," says Chris Kirkley of the Friends of Shreve Memorial Library Book Sale. Saturday, Ap 20 and Sun, Ap 21 in the basement of the Main Library at 424 Texas St. Opens 9AM Saturday for members only, with memberships sold at the door for $5. The sale opens to the public with free admission from 12 Noon - 5PM on Saturday. We open again to the general public with free admission from 1-4PM on Sunday . Prices range from $.25 to $2, with some collector's items going for a few dollars more. Josh Hollis, Shreveport, a photo by trudeau on Flickr. "Tomorrow is big times for TNT and Artspace," says Todd Satterfield. "From 5-8 pm Chase Bray will be performing at The Norsworthy Gallery, Professor Porkchhop will be pounding the ivories at The Remington Hotel lobby, and Josh Hollis of The Lackadasies is performing in the upstairs Artspace gallery for the Stephen Porter opening." Go to Artspace to register for the 'Living Spaces' TNT tour, which begins at 5 pm. "We are still accepting Vendors for the 6th Aseana Spring Festival," says Mary Grace de Joya Vea. 1. Milam Street from the corner of Texas street to Elvis Presley Street will be closed to traffic to accommodate the vendors. 2. We are not charging fees from the vendors for this Spring Festival. We do accept donations. 3. We will not be providing any tables or tents. 4. You are welcome to bring your own tables, chairs and tents with prior communication so it can be accommodated in the layout. Let me know by Wed, April 24 your number of tables and their sizes, chairs, tents. 5. We also welcome non-food vendors. 6. Vendors set up at Milam Street fronting the Asian Garden at 7:00 am the morning of Saturday, April 27. 7. You can unload by the Milam street corner Elvis Presley street, or by Milam, corner Texas street. 8. Parking is available on a first come, first served basis at the Municipal Auditorium Parking lot behind and in front of the building. 9. Please email me, Mary Grace De Joya-Vea, at . My cellphone is 401-8078. We are a 100 % nonprofit organization and all board members are nonsalaried. Donations go entirely to the improvement and upkeep of the Asian Garden. We also welcome memberships to the ASEANA Foundation. Baroque Artists of Shreveport, Sun, Ap 21, 3 pm, St Mark's, a photo by trudeau on Flickr. 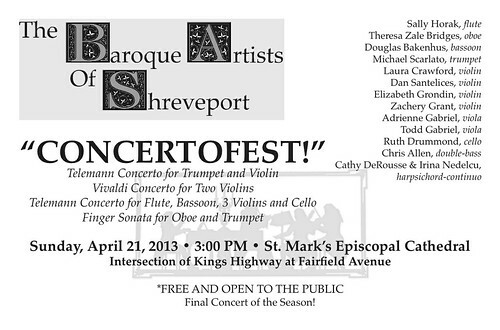 Baroque Artists of Shreveport soloists include Laura Crawford and Dan Santelices , violins; Michael Scarlato, trumpet; Sally Horak, flute; Theresa Zale Bridges, oboe; and Douglas Bakenhus, bassoon. Other performers are: Elizabeth Grondin and Zachery Grant, violin; Adrienne Gabriel, viola; Todd Gabriel, viola; Ruth Drummond, cello; Chris Allen, double-bass; and Cathy DeRousse and Irina Nedelcu, harpsichord-continuo. Due to the generosity of BAS’s donors, the concert is free and open to the public. It will take place at St. Mark’s Cathedral at the intersection of Kings Highway and Fairfield. Sun, Ap 21, 3 pm. The American Wilderness, Shreveport, a photo by trudeau on Flickr. Day Old Blues Records and Foxtrot Studios are celebrating National Record Store Day with live music, says James Gilcrease. In terms of record sales, says Gilcrease: "First come, first served. We open at 11am so line up outside whenever you want to. I know this sounds childish and takes you back to grade school but it's the best way I know. You walk up in one line and tell me or one of the volunteers what albums you want. You can not buy two copies of the same title; one per customer. You then move to the side and sift through the records we just gave you. If you decide you do not want one just hand it back to us. You can check out or look at the rest of the records (new vinyl/preloved), t-shirts, stickers and band merchandise. Buy some stuff, and enjoy the live music. Thanks." The site is 601 Texas St, the building at the corner of Texas and McNeil half a block from Robinson Film Center. Scan 131050000, a photo by trudeau on Flickr. Shreveport Metropolitan Ballet will present a mixed-bill afternoon of ballet on Sun, April 21, at 3 pm. This eclectic production demonstrates the imaginative power of a good tale, and takes audiences on a journey from ancient Russian folklore to the beloved childhood characters created by British author and illustrator Beatrix Potter. 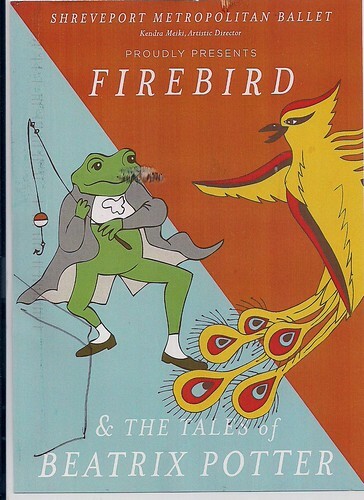 Audiences of all ages will enjoy Firebird, premiered by the famed Ballets Russes in 1910, as well as The Tales of Beatrix Potter, first created as a ballet film for London’s Royal Ballet in 1971. Join SMB Artistic Director Kendra Meiki and a cast of over 100 local dancers as they bring these classic tales to life at Riverview Theater! Visit SMB's online ticketing page to purchase tickets 24 hours a day, with no fees! Banghra, Bollywood and classic Bharatanatyam dance styles!, a photo by trudeau on Flickr. 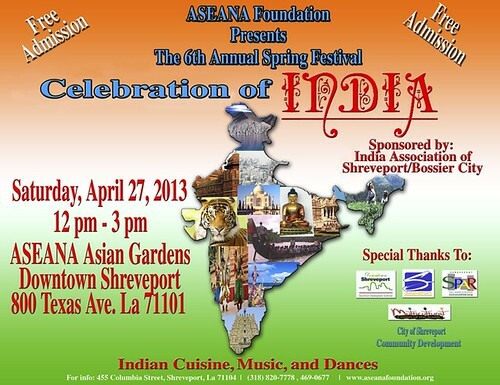 Featuring the food, costumes and accents of India this year, music and dance at the Aseana Festival will be presented between noon and 3pm, Sat, Ap 27. "Look for members of the local Indian community, The Port Belly Project and their student group (The Port Belly Futurists) and my new group, Natya Kala Mandalam (myself, Rebecca Prosino, Miranda Miller and Susan) to be dancing banghra, bollywood and classic Bharatanatyam dance styles," says Kathy Fontaine. "And the food selection," she adds, "will be Amazing!" Only one small street separates the celebration of Asia from the Texas Ave Maker's Fair; they take place concurrently. Robinson Film Center French Movie Fest / Abby Singer specials, Ap 12 - 18, a photo by trudeau on Flickr. Political Epic, 165 min. Provocative biopic of Carlos the Jackal. Drama, 101 min. A chambermaid obsesses about chess. Comedy/Romance, 80 min. A man and woman unite over chocolate. Fantasy/Animation, 84 min. Silhouette animation filled with dragons, werewolves, and enormous talking bees. Drama, 111 min. A crime writer’s marriage goes bad in Venice. Abby Singer's Bistro Happy Hour, 5-7 p.m. Tuesday-Thursday. The Happy Hour drink special is $3 house wine and $2 beer. "Join us in the Green Room tonight at Chianti's Italian restaurant. 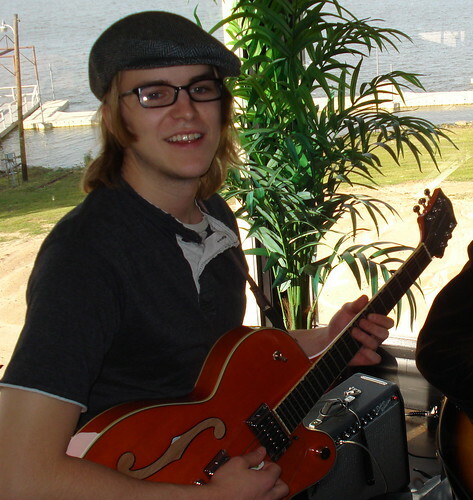 I will be there," says Christopher Allen, "performing live music 6-9 with Winston Hall at the Baby Grand. 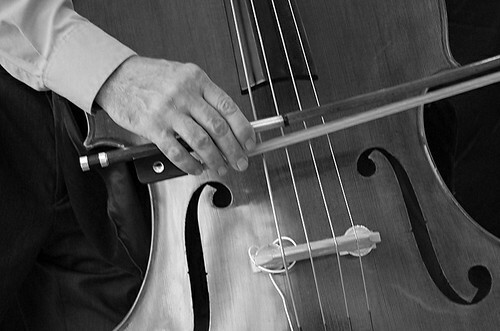 Serving up some Jazz, Blues, Classical, Country, Etc. Great food too! Located at 6570 Line Ave. near 70th street. Reservations recommended: 868-8866." 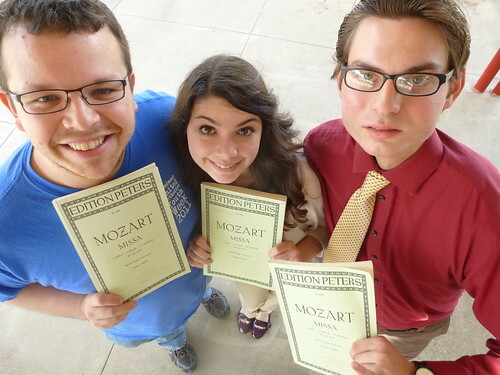 Mozart on Ap 14: T Wes Moore, Katherine Ball, Zachary Owen, Shreveport, a photo by trudeau on Flickr. Centenary College Choir and the First United Methodist Church Chamber Choir will join to present Wolfgang Amadeus Mozart’s Grand Mass in C Minor, says Dr David Hobson. Performance on Sun, April 14, at 3 p.m. in the sanctuary of First United Methodist Church of Shreveport. A full orchestra will accompany the combined chorus. Free and open to the Mozart-loving public. Among the singers: T. Wes Moore, Katherine Ball, Zachary Osric Owens. 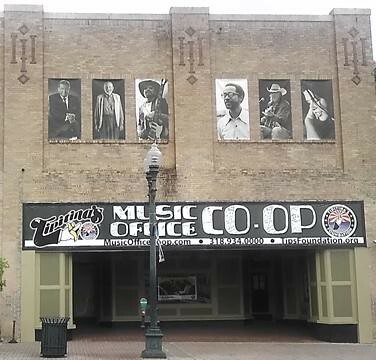 Tipitina's Co-op Shreveport, 700 Texas St, a photo by trudeau on Flickr. Tipitina's Foundation operates a Music Office Co-Op and multi-room band rehearsal facility, right in the heart of Downtown Shreveport? Yes, indeed, says Papa Mali. "This month only we have a few vacancies in the band practice rooms. But all rooms offer 7/24/365 access to your equipment, HVAC in every room, new carpeting and construction, securitized doors, freight lift elevator, easy on-street parking and so much more. Vacant rooms range from 114 square feet, perfect for a trio, to a whopping 228 square feet, enough for a six- or seven-piece band. Rental rates start at $100 per month. Drop by 700 Texas Street in Shreveport any weekday between 10 and 6, or call (318) 934-0000 for details." 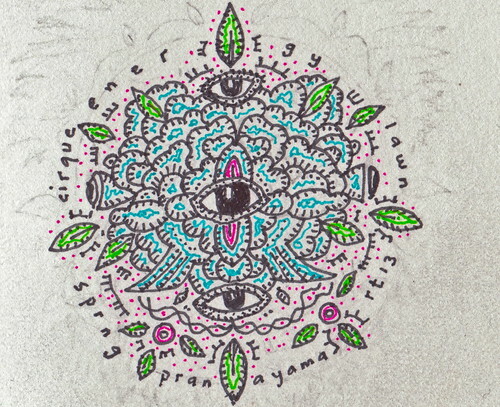 Visual artists may apply, too. Rigoletto: voices, costumes, drama at Shreveport Opera on Sat, Ap 13, a photo by trudeau on Flickr. The libretto of Rigoletto revolves around the licentious Duke of Mantua, his hunch-backed court jester Rigoletto, and Rigoletto's beautiful daughter Gilda. Check out the most impressive cast at Shreveopera.org. Tex Ave Makers Fair, Ap 27, downtown Shreveport, a photo by trudeau on Flickr. 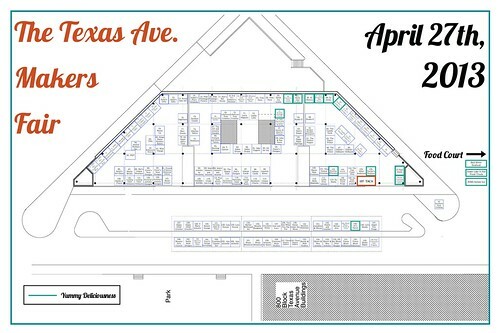 Want to take a shift as a volunteer at the Tex Ave Makers Fair? Send your info to info@texasave.org. And Ivy promises that vols will get a food booth voucher for their work. Btw, you can amplify the above plan so that you can read every bit of it. Just persevere. Dirtfoot T as modeled by Elliott Vaughan, a photo by trudeau on Flickr. "We are going into Blade Studios and working with the charismatic Brady Blade - producer - and our friend Chris Bell - engineer - to put together our new album," says Matt Hazelton. Adds J Bratlie, "When you combine the amazing studio, producer extraordinaire, mix master Chris and the new tunes we’ve been honing in our 2nd floor dungeon, this record will be the tops. But here's where we need your help. 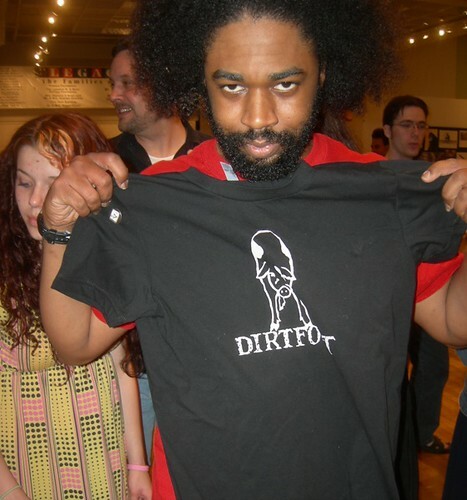 Dirtfoot is still your favorite DIY band. We don't have a label behind us or any big pile of money that we dig into. And this is the first album produced by someone outside the band." They need some $16k to do all and sundry for the album. Final deadline for contributions is May 10. Paris 07, a photo by trudeau on Flickr. Châteauneuf-du-Pape! The Tournées French Film Festival brings Shreveport films en Francais via the Robinson Film Center, April 12-18. The Tournées French Film Festival is being presented by the Centenary College Film Society and the Cultural Services of the French Embassy and the French Ministry of Culture, says Jefferson Hendricks. 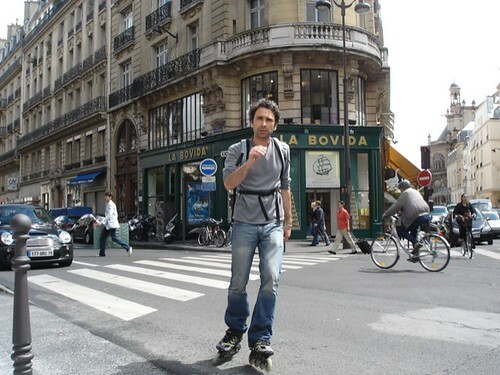 The five recent, award-winning French language films demonstrate the diversity and excellence of films from the Francophone world, says Hendricks. Tales of the Night (Contes de la Nuit). Fantasy/Animation, 84 min., NR. Silhouette animation filled with dragons, werewolves, and enormous talking bees. Romantics Anonymous (Les Emotifs Anonymes). Comedy/Romance, 80 min. A man and woman unite over chocolate. Unforgivable (Impardonnables). Drama, 111 min. A crime writer’s marriage goes bad in Venice. Carlos. Political Epic, 165 min. Provocative biopic of Carlos the Jackal. Queen to Play (Joueuse). Drama, 101 min. A chambermaid obsesses about chess. 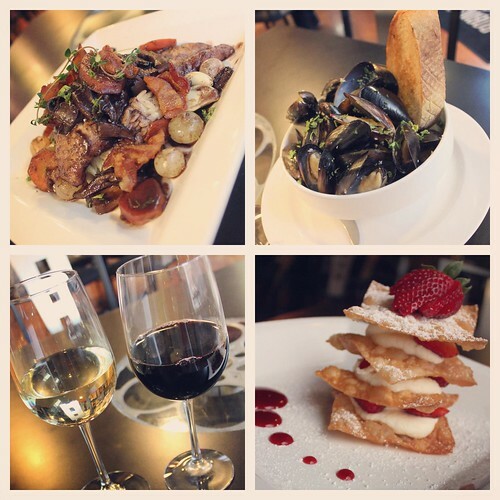 Abby Singer’s Bistro will be offering French wine and French cheese plate specials all week. All films are open to the public at regular admission prices. Forever Plaid, a photo by Wilcom Discovery on Flickr. 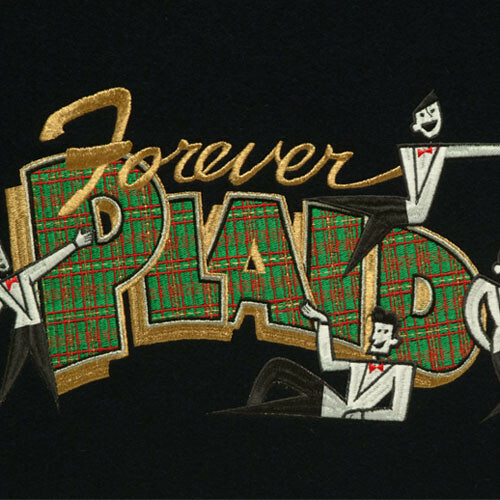 Clay G. Eaves, Dr. Bob Holladay, Eric Lincoln, and Steve Pomeroy are the featured singers in the shreveport Little Theater prouction of the goofy musical, Forever Plaid. Tunes include Catch a Falling Star, Crazy ‘bout Ya Baby, Moments to Remember, Heart and Soul, Lady of Spain, Rags to Riches, She Loves You, Three Coins in a Fountain, Sh Boom, and No, Not Much, says Robert Darrow. The creative team includes Richard Folmer, director, Ruben Reyes, musical director and keyboard, Regan Cassanova, assistant director, stage manager and props, Peggy San Pedro, costumes, David White, lighting designer, Adam Boyd, set design and technical director, Alan Mathison, light board operator, Phil Stewart, sound board operator, Chris Allen and Patrick Davis, musicians, and Eugen Crook and Sylvia Rachal, scenic artists. Performances: April 25, 26, 27, May 2, 3, 4 at 8 p.m. and April 28 and May 5 at 2 p.m. at 2 p.m. at SLT, 812 Margaret Place. SLT box office: 812 Margaret Place, noon – 4 p.m. weekdays. Keith Sweat @ Indigo2, a photo by danyell_photo on Flickr. 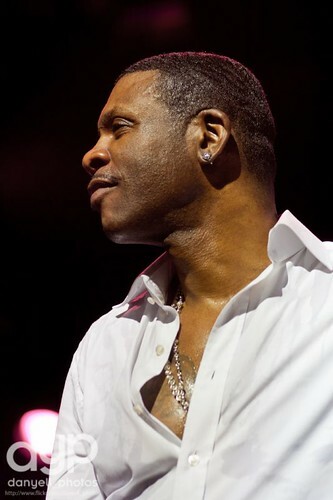 Good Chime presents Keith Sweat Live at the Strand on Friday, April 12, 2013 at 7 pm. Tickets are $32.00 and $35.00. Opening Act is Mariah Roberson, from the movie “Mama I Want To Sing.” Hosted by HOPEFLOOD. 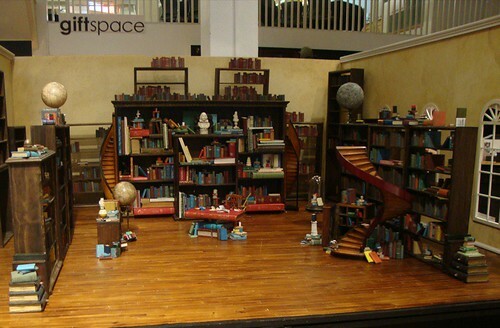 Shreveport author/illustrator William Joyce and illustrator Joe Bluhm have won a 2013 Christopher Award for “The Fantastic Flying Books of Mr. Morris Lessmore” (Atheneum Books for Young Readers/Simon and Schuster). http://morrislessmore.com, says Jeanne Byington. Their tale for kindergartners is about a writer who becomes dejected after losing everything in a hurricane, but rediscovers the life-changing and enduring power of stories with the help of some magical books. The book is one of 11 for adults and young people that The Christophers will honor on May 23rd in New York City. Created in 1949, these awards are presented to writers, producers, directors and illustrators whose work affirms the highest values of the human spirit. The ancient Chinese proverb—“It’s better to light one candle than to curse the darkness”— guides its publishing, radio, leadership and awards programs. 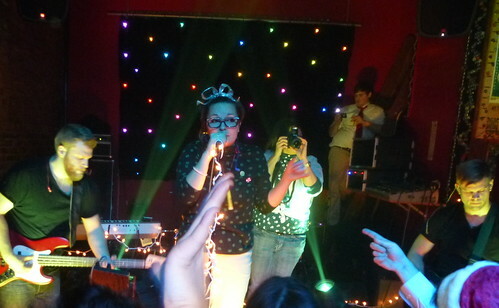 Ansley Hughes / Super Water Sympathy, Chicky's Boom Boom Room, Shreveport, a photo by trudeau on Flickr. Super Water Sympathy is back on the Vans Warped Tour with 20 summer concert dates, says Alex Steiniger of In Music We Trust Records. Their Vans shows will take them from NY to Ohio to Texas. The first week in August, end of a lengthy road, they will hit Dallas, Houston and Austin. They're currently on a 22-date tour that takes them from House of Blues, NO, to Seattle, Eugene, Portland and San Francisco. 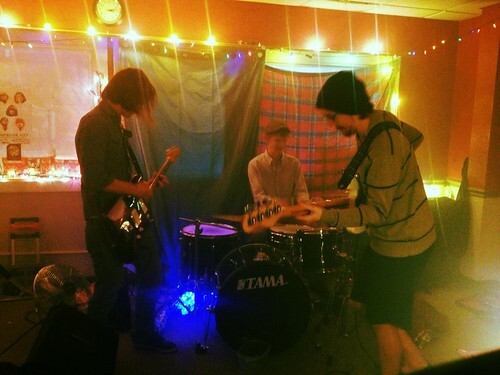 The new album, Hydrogen Child, is excellent. If you liked Vesper Belle, you will find the new work pleasurable. There are a few songs that sound too much like the material on album one. But if you like Ansley Hughes' voice, which is one of the clearest and richest in alt-pop today, you will revel in "Purple Poppies," "Anthem," "Pistol" and "Uh-oh." Tickets to their show at Phoenix Underground on Sat, Ap 20 are $10 early. If you obtain them in advance you will be Gerard Butler for the evening. Central Artstation: On public art, Th, Ap 11, a photo by trudeau on Flickr. 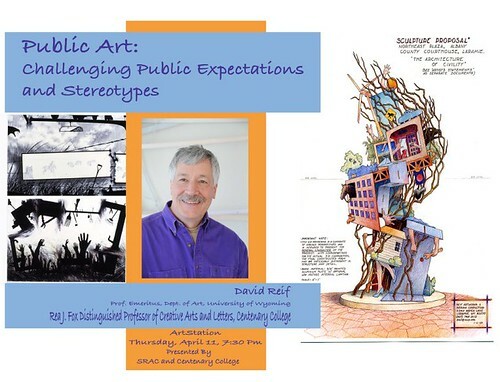 "Thursday, Ap 11, come listen to David Reif, Depart. of art, University of Wyoming, speak about public art," says Casey Jones. Th, Ap 18, Texas St, Shreveport, a photo by trudeau on Flickr. 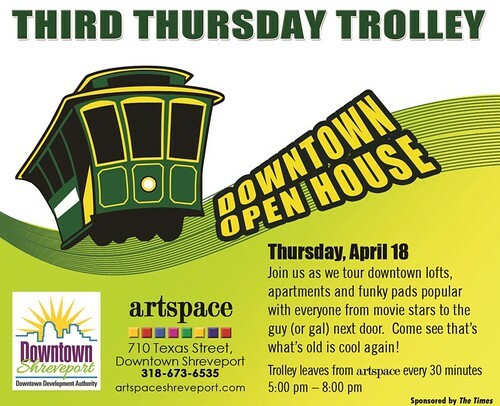 "The popular Downtown Open House Residential Tour is scheduled for April 18, 5 - 8 pm. 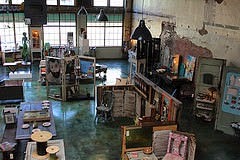 Register and begin the tour at artspace, 710 Texas Street. By the way, these tours take place once every two years," says Liz Swaine. Ap 27, Earth Day, a photo by trudeau on Flickr. Sonya Bratlie: Through Native Eyes, Karpeles Museum, a photo by bratlie on Flickr. Indigeneous to Louisiana and Texas, the Adai-Caddo Indiands ranged as far west as the plains of Texas where they hunted buffalo. Over time, they became some of the area's first cowboys, writes photographer Sonya Bratlie. Today, the Adai-Caddo Indian Nation includes over 1200 tribal members living across the country. Karpeles Museum is presenting a month long exhibit featuring Bratlie's photographs of the Adai Caddo Indians. "As a person of native descent, I am proud and humbled to capture our living Louisiana Heritage," wrote Bratlie. Women's Retreat 2013: Celebrating Wellness and Culture will be in Shreveport in just one week! Join us for the latest information about affordable healthcare for women, workplace rights and responsibilities, and everything you ever wanted to know about HIV/AIDS. The Women's Health Conference will offer educational seminars and health screenings and exhibits. The retreat is geared towards providing women with empowerment to take charge of their lives. A complimentary breakfast and lunch will be served. 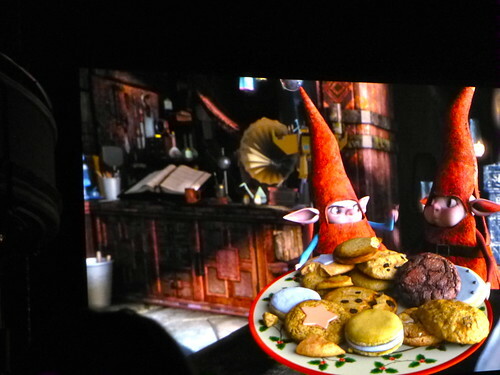 Rise of the Guardians premiere, Strand Theater, Shreveport, a photo by trudeau on Flickr. Movies and Moonbeams presents "Rise of the Guardians" on April 5 at RiverView Park, says Frederick Lewis. It's the excellent William Joyce animation from Dreamworks that premiered at the Strand last November. The movie will be shown on an inflatable movie screen at 8 pm and is 97 minutes long - rated PG. The event is free and open to everyone. Bring a blanket, lawn chair, snacks and have fun with your family, says SPAR! A Tribute to the Armadillo World HQ at SXSJ 2013, a photo by Steven M. Garcia on Flickr. 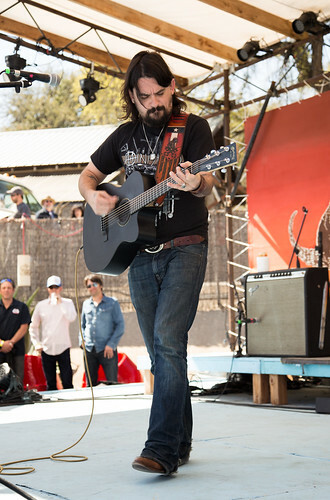 Shooter Jennings is currently on tour in support of his latest release The Other Life, says Strange Brew Shreveport. From 1945 to 1957, Rev. Anderson Samuel Jackson, Jr. pastored Mount Canaan Baptist Church in Shreveport, Louisiana. Around the same time, he hosted a “radio ministry to the sick and shut-ins” on KENT. He also appeared on a few gospel music records. Emmett Hook Center, Shreveport, a photo by trudeau on Flickr. 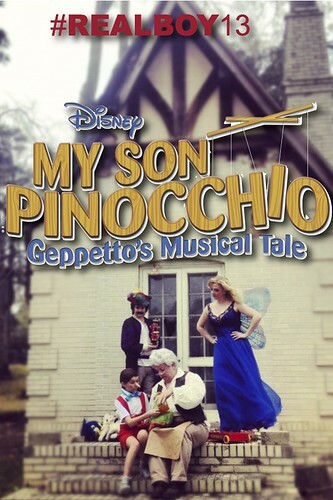 Disney's My Son Pinocchio opens Fri, April 5, says Stage Center. See it at the comfortable new venue at First Methodist, Emmett Hook Center, 550 Common St. The classic tale of an aging toymaker and his puppet, Pinocchio, takes on timely issues in this family-friendly mix of fairytale and adventure from Grammy and Oscar Award-winning Stephen Schwartz, who has added original songs to the beloved classics "When You Wish Upon a Star" and "I’ve Got No Strings." Adults $20. Seniors $18. Kids $15. Ask about our $10.00 Student Rush Policy.